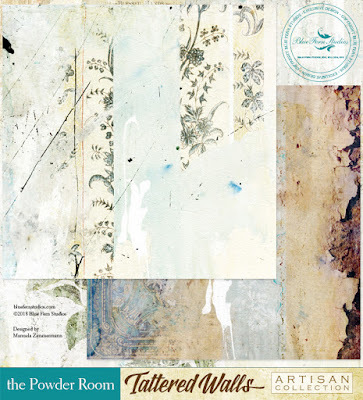 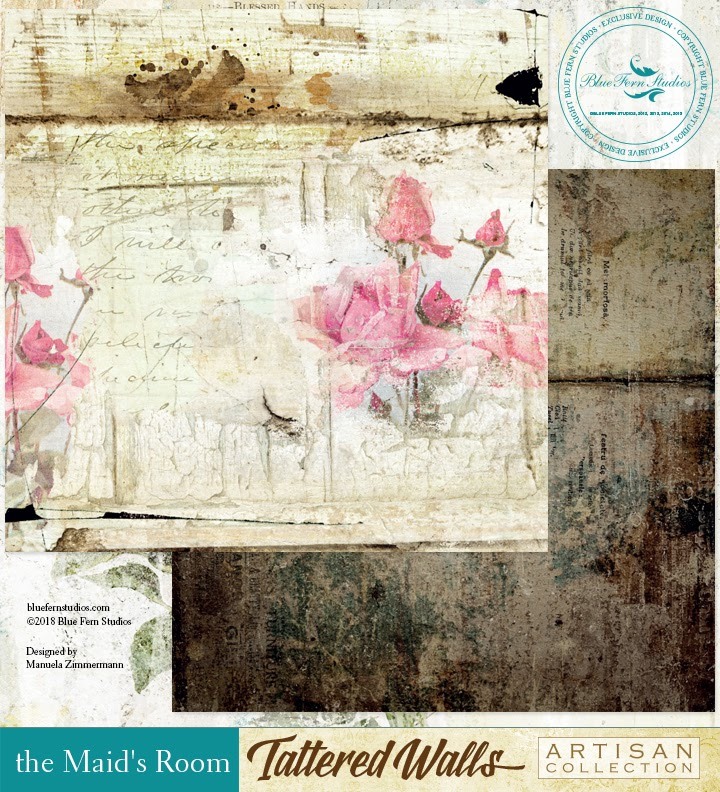 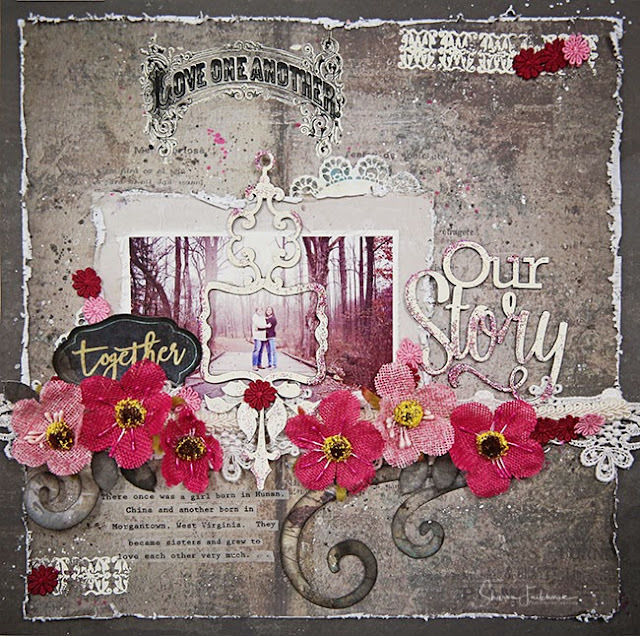 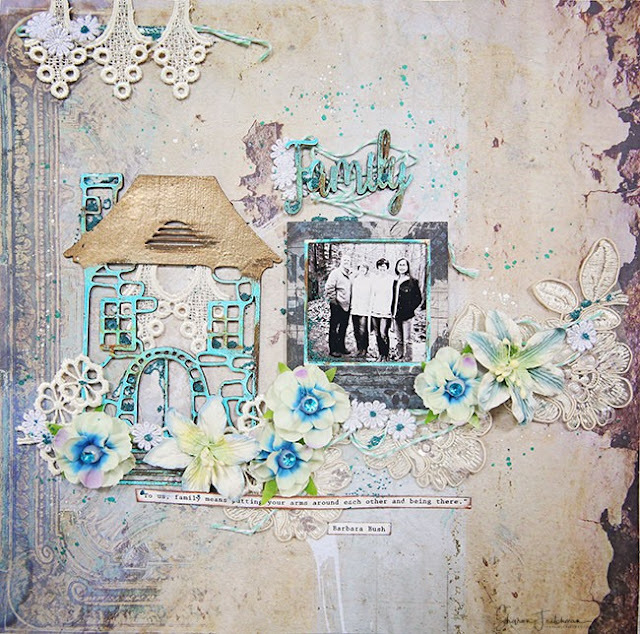 Blue Fern Studios: June "Tattered Walls" Pages by Sharon! To me, this is a "must-have" collection for any scrapbooker. It is so versatile and each and every page is absolutely beautiful. So without further ado, here are my layouts . 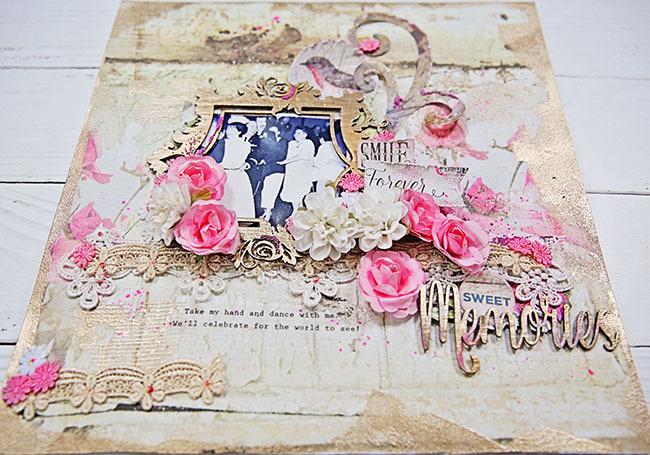 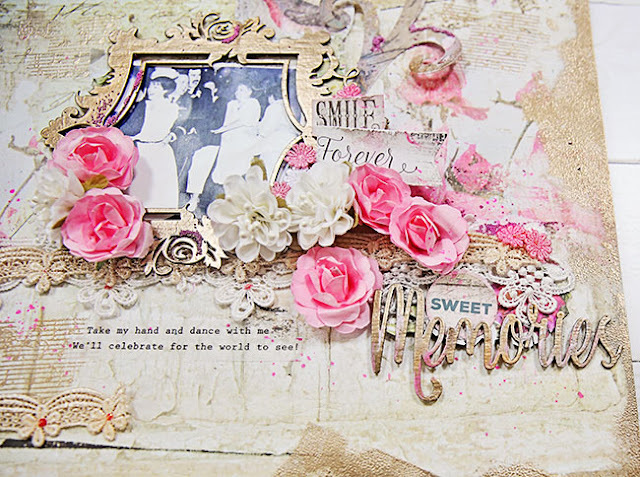 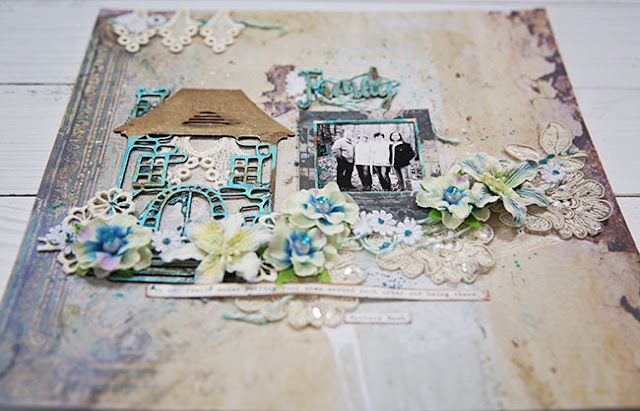 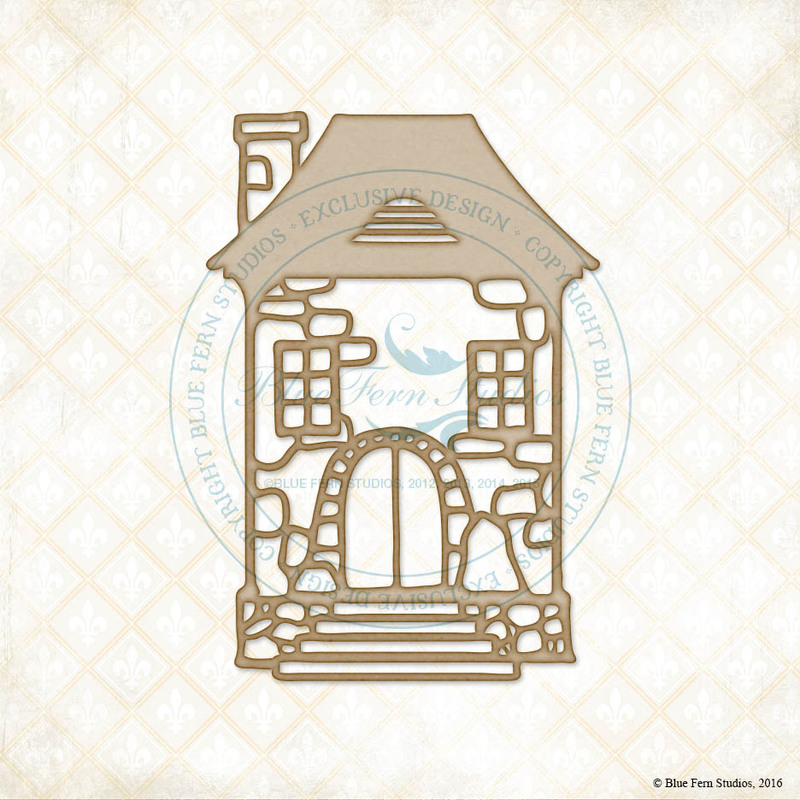 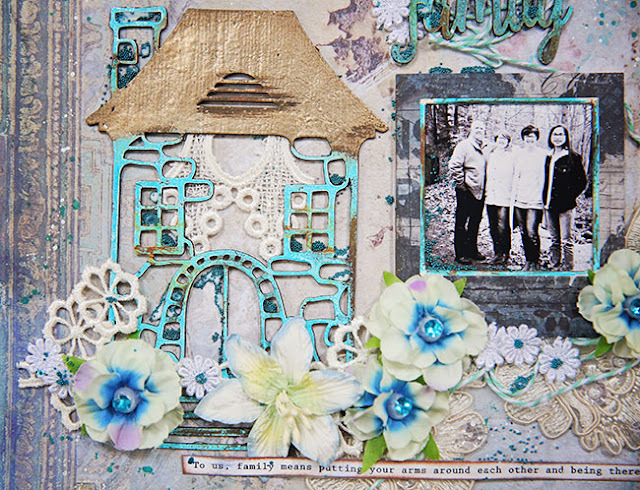 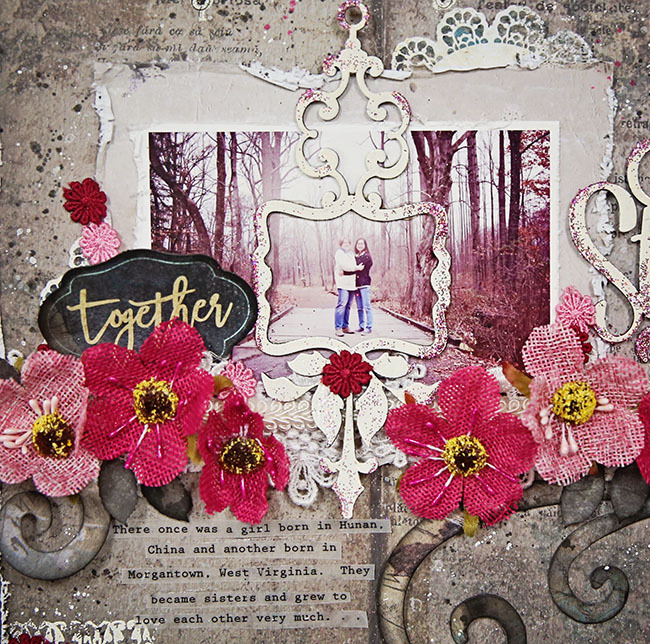 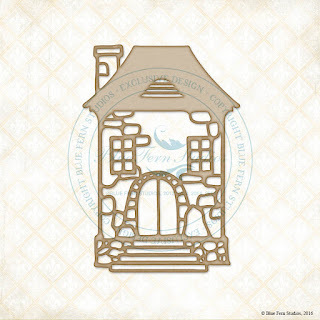 . .
One of my favorite parts of making this page was using the "Stone Cottage" chipboard piece. And I did the same with the Chipboard "Family" word, too. 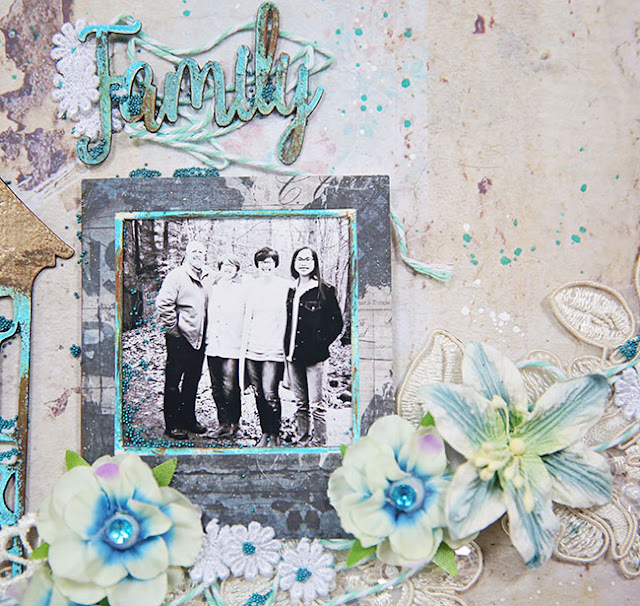 I especially liked scrapping a treasured family photo of the four of us using this beautiful collection. 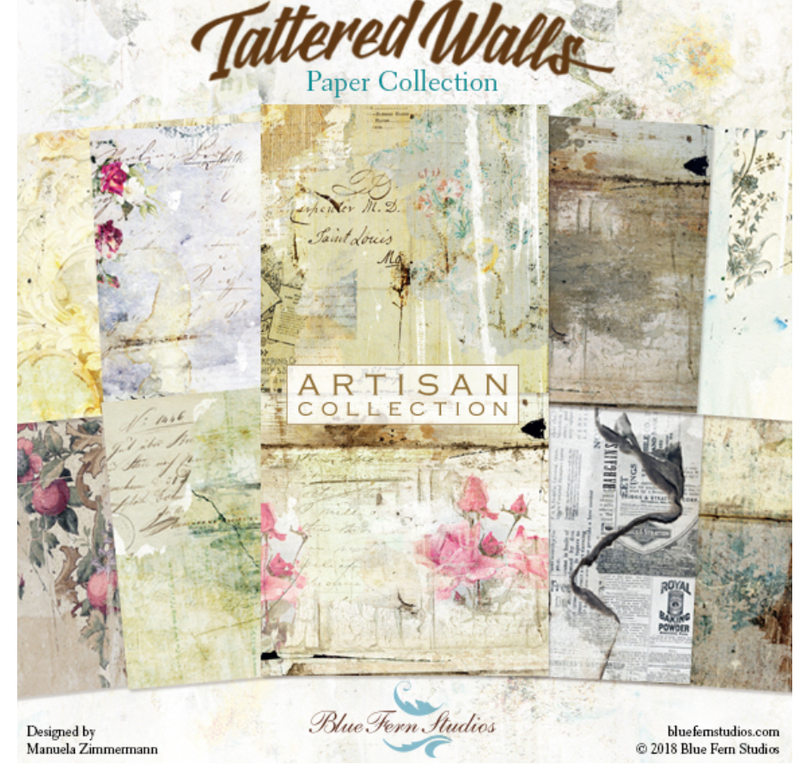 Paper: Tattered Walls "the Powder Room"
I came across some old photos from my wedding day, and just had to scrap this one! 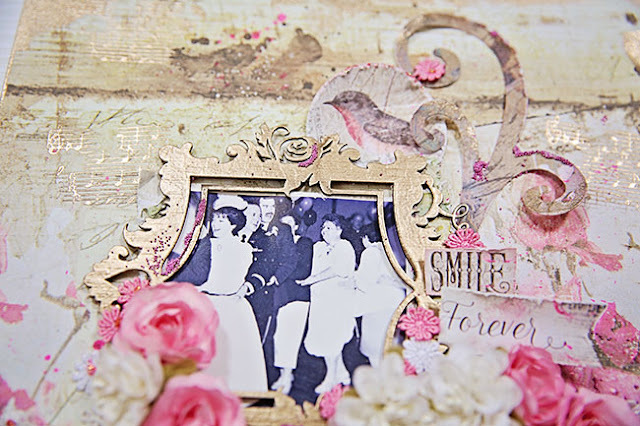 The "Glam Frame" and "Memories" chipboard pieces worked well here. And the taupe embossing powder is a dream to work with! Paper: Tattered Walls "the Maids Room"
I used the other side of "the Maid's Room" paper because it resembled a book and went perfectly with my "Our Story" theme, which is based on my daughter's love for each other. 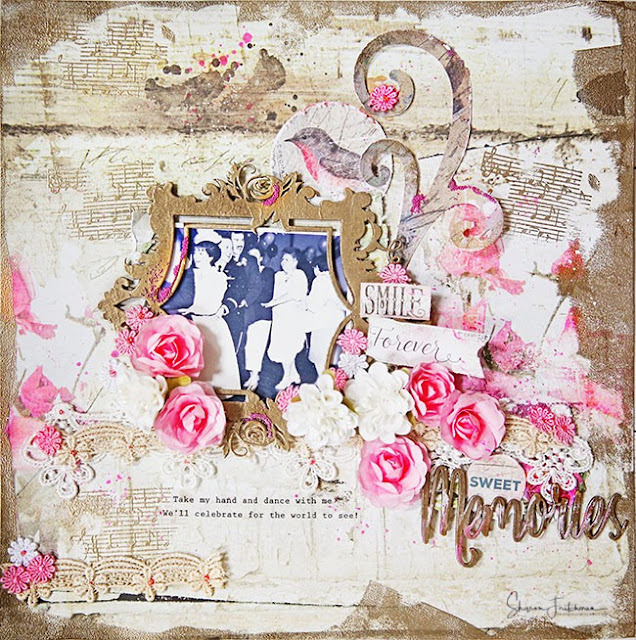 Paper: Tattered Walls "Apartment B" and "the Maid's Room"
Chipboard: Embellished Frame, "Our Story"
I want to take a minute to thank you for stopping by the BFS blog today! 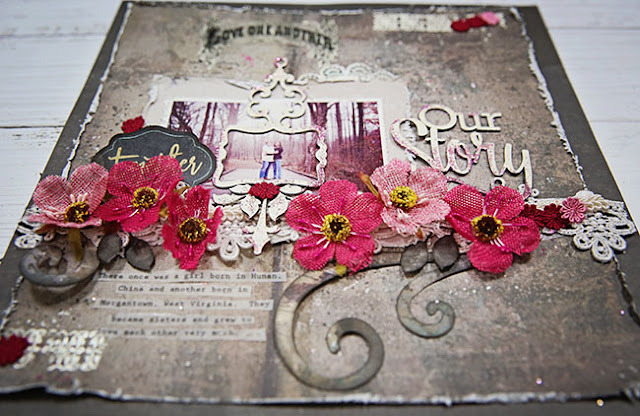 I also want to let you know how easy and fun it is to create beautiful scrapbook pages when you have the right supplies that add so much to your layouts. Please take a moment to check out the BFS retail store. 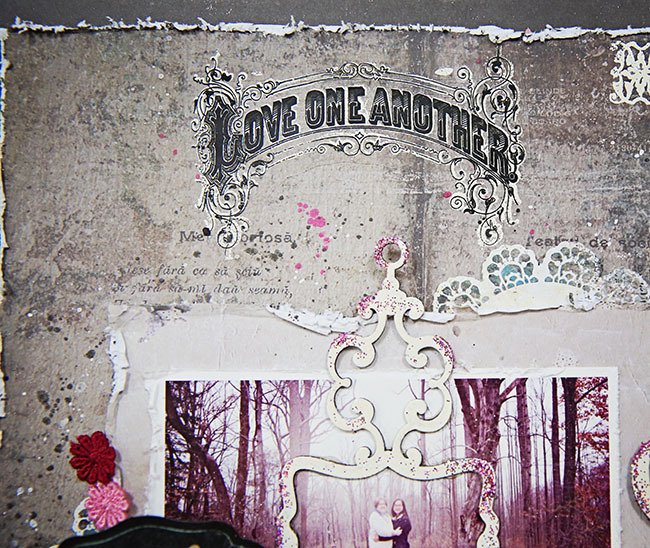 I can't wait to share more with you next month.